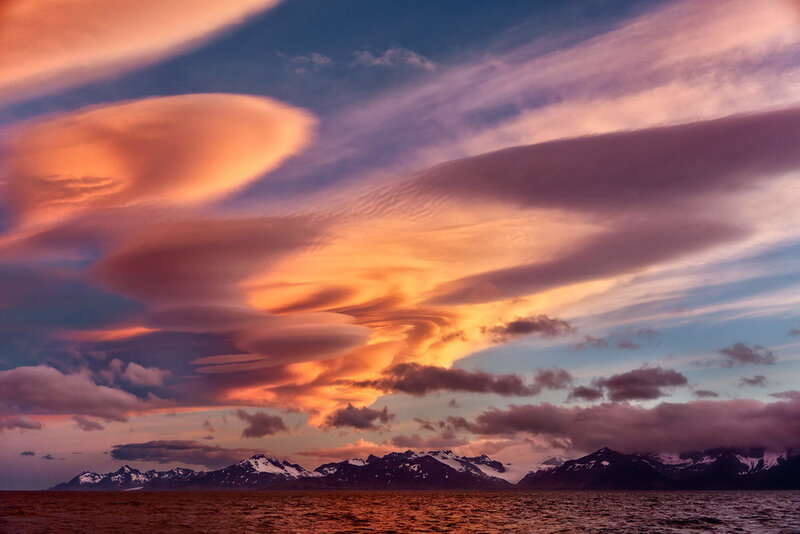 Spectacular cloud formations are illuminated by a glorious sunset over the Beagle Channel near Ushuaia in Argentina. I would certainly recommend a helicopter flight, that includes a landing as part of the tour, on your Things to do in Ushuaia list. The fact that you're on the edge of a wilderness really adds to the excitement. Ushuaia has a population of over 60,000 people and is commonly regarded as the southernmost city in the world. It’s even referred to as the End of the World or fin del Mundo in Spanish. Situated on the Tierra del Fuego archipelago, on the shores of Ushuaia Bay, the city of Ushuaia is surrounded on two sides by the Andes. Ushuaia has a sizable port and is a popular place from which to departure on an Antarctica cruise. A lush valley surrounded by classic mountain peaks in the Tierra del Fuego National Park near Ushuaia, Argentina. The photo at the very top of this post was made towards the end of a helicopter flight exploring the dramatic mountains, valleys and lakes near the city of Ushuaia in southern Argentina. It's amazing to consider the scale of this picture. Look how big these clouds are in relation to the rugged mountains over which they appear to hover. I made the photo at the top of this post with my Canon 5D Mark II camera and Canon 24-105 mm f/4 L series lens at a focal length of 35 mm. The light was getting low, as the sun had set, so I was limited to a shutter speed of 1/250 second and an aperture of f/4. Due to their greater maneuverable and slower velocity helicopter aerial photography is much easier than photographing from a plane. Nonetheless, I would have preferred a faster shutter speed but, given my camera was at ISO 1600, I took a risk. These days I’d probably be prepared to push my camera’s ISO up to ISO 6400 under those circumstances, but the Canon 5D Mark II, while a great camera, just didn’t have the same high ISO capabilities of my current Sony a7R ii camera. 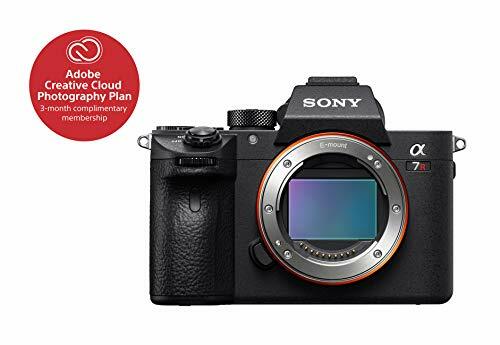 No doubt the current Sony a7R iii camera ups the stakes in relation to high ISO performance and focus to another level entirely. It had been a great flight when our pilot set us done on a remote and rocky beach. While the other photographers were enjoying some snacks and champagne, I busied myself photographing the beautifully bleak landscape. Clouds illuminated by warm light, at sunset, near the city of Ushuaia in Argentina. We'd timed the flight well and were rewarded with amazing cloud formations and beautiful, warm light during our flight back to Ushuaia. As all the action was in the sky I made sure to include as much of it as I could in my composition. Try to be up in the air during the golden hour: the hour immediately after sunrise or before sunset. Do all you can to secure a window seat. Usually the front seat, next to the pilot, will provide the best opportunities. Where possible photograph with the sun behind you for maximum saturation in the colors of earth, water and sky. 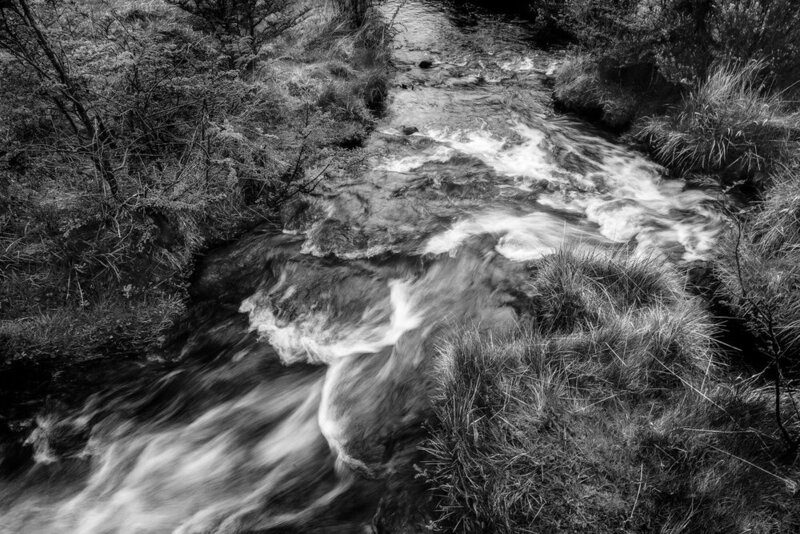 Of course you may want to photograph the sunrise and sunset, but be aware that the dynamic range of such scenes can record land and water much darker than you perceived them at the time. For enhanced shape and texture photograph with the light coming from the side. Photographing clouds illuminated during the afterglow can be an amazing experience. Try to ensure you’re photographing with a minimum shutter speed of 1/500 second. Use your camera’s ISO to increase the sensitivity of your camera to light and provide you with higher shutter speeds to produce sharper pictures. The helicopter window was curved and really dirty which adversely affected the quality of the images from this particular adventure. Nonetheless, flying over the mountains south of Ushuaia, at the bottom of South America, is an amazing experience. The lens focal length at which you're photographing. Your ability to keep the camera/lens still, with or without Image Stabilization. Whether or not you're limited to photographing through a perspex window. To reduce vibration make sure the camera or lens is not in contact with any part of the helicopter (e.g., window frame) that's actually vibrating. You can check by placing your hand on the surface in question. You'll be able to pick up all but the most subtle vibration. I hope this information proves helpful should you have the opportunity to photograph from a helicopter. While expensive, it’s a truly incredible experience. And Ushuaia, the city at the end of the world, is a great place for a helicopter flight.